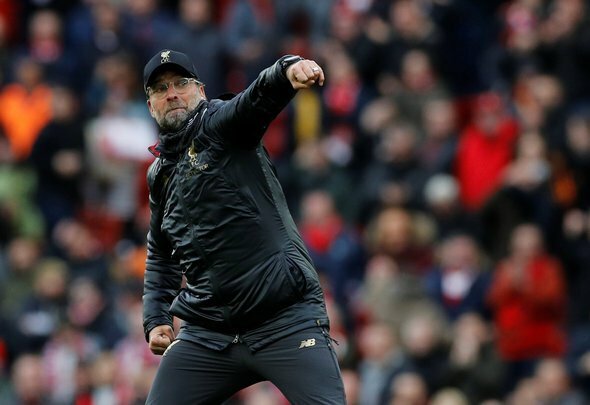 Liverpool kept the pressure on Manchester City on Sunday with a convincing 2-0 win over Chelsea, and Jurgen Klopp is no doubt more than impressed with his players. A goal from Sadio Mane and a wonder strike from Mo Salah sealed all three points for the hosts in a game which they largely dominated, and they will certainly be hoping to bring that type of form away to Porto when they face them in the second leg of their Champions League quarter-final on Wednesday. Despite the fact that the Reds lead 2-0 from the first leg, Klopp will need to make one change to the side that put a dent in the Blues’ Premier League top four hopes, swapping Joel Matip for Dejan Lovren. Trent Alexander-Arnold had a bit of a wobbly start to the game, but as he grew into it, his distribution improved considerably, so it is a no-brainer for him to remain in the team, alongside Virgil Van Dijk and Andy Robertson. 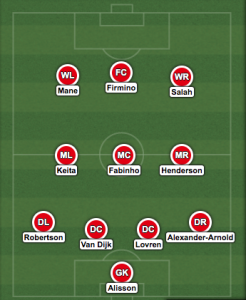 However, the one change Klopp must make is in the central defence. Joel Matip, a mainstay in the Premier League, was rather shaky throughout the clash as he struggled to cope with the onslaught of Eden Hazard. Dejan Lovren – who is on £100,000-a-week [Spotrac] – played in the last Champions League tie, and the Croatian international must be given the chance to do so again after an assured performance that day. The midfield was impeccable on Sunday, so the trio of Naby Keita, Fabinho and Jordan Henderson must start once again. Gini Wijnaldum did make a good case for himself when he came on for Keita in the second half, but it would be wise for Klopp to stick with what is working at the moment. Sadio Mane clearly won the battle between himself and Chelsea full-back Cesar Azpilicueta, while Roberto Firmino and Mo Salah thoroughly deserve to lead the line once again on Wednesday. If Klopp makes the right decisions regarding his team on Wednesday, then there is no doubt that they would be able to smash Porto to progress to the semi-final.